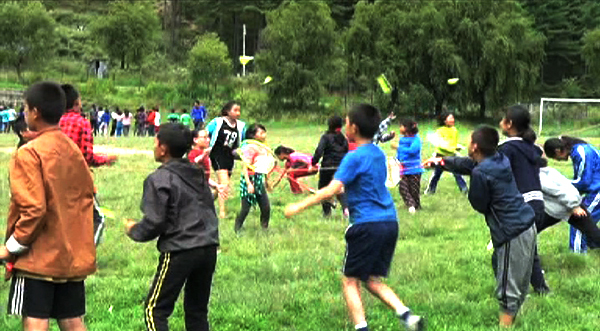 A grassroots-level badminton training program, Shuttle Time Bhutan has now trained more than 370 teachers across the country in the last four years. The program has achieved more than 60 per cent of its target. It aims to train 600 teachers by 2020. The program has covered 11 dzongkhags so far. As part of the program, the sports teachers and sports instructors from different schools in Bumthang took part in three-day Shuttle Time Bhutan badminton training. 160 students from Wangdicholing Lower Secondary School also took part in it. “Back in our respective schools, we will share whatever we have learnt from the training to our students. We are attending such training for the first time and we are hopeful that Bhutan Badminton Federation will continue to support us,” Chimi Dorji, the Sports Instructor of Jakar Higher Secondary School, said. With its theme, ‘Giving every child a chance to play badminton’ the program focuses on training children below the age of fifteen with fundamental badminton skills. It also concentrates on reaching out to the children of rural areas. “Who knows, some of these kids here might excel in national or international badminton championships in the future. The only thing they need is a platform to show their talent and parental support is really important,” Dorji, the National Coach of Bhutan Badminton Federation, said. The program also issues badminton kits such as racquets, shuttlecocks and nets to schools with support from Badminton Asia and Badminton World Federation. Similar training will be held in eastern dzongkhags of the country.